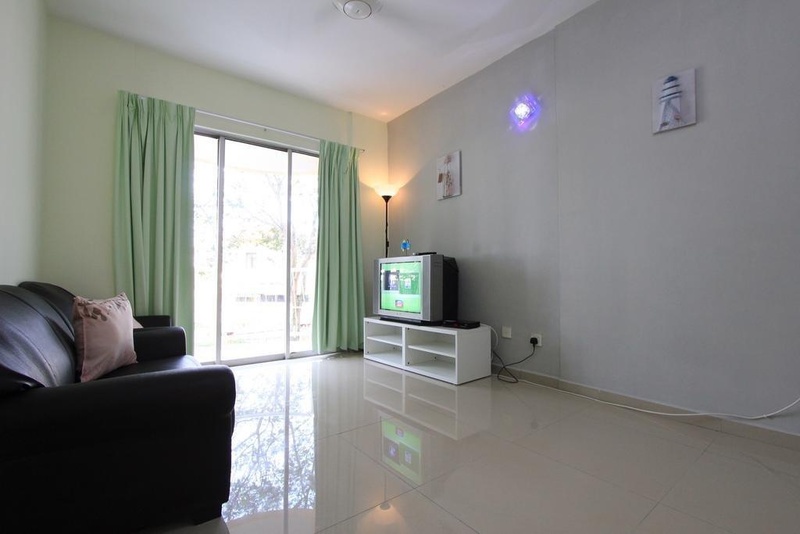 Located in Melaka Raya, Emerald Melaka Stay is a perfect starting point from which to explore Malacca / Melaka. The hotel offers a high standard of service and amenities to suit the individual needs of all travelers. To be found at the hotel are business center, elevator, shops, express check-in/check-out, car park. Guestrooms are fitted with all the amenities you need for a good night's sleep. In some of the rooms, guests can find complimentary bottled water, dishwasher, satellite/cable TV, blackout curtains, refrigerator. Enjoy the hotel's recreational facilities, including garden, pool (kids), outdoor pool, before retiring to your room for a well-deserved rest. Convenience and comfort makes Emerald Melaka Stay the perfect choice for your stay in Malacca / Melaka. Clean environment. Near to town. Nearby shop. Good accommodation. Close to the city center. Great pool. Lift is old. Basic facilities. No towels. No oven. Toilet too small.